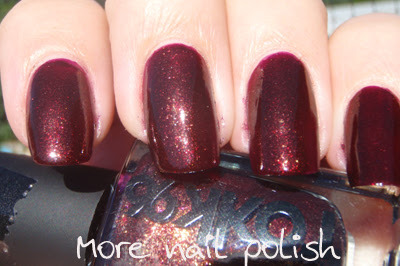 This is another beautiful polish from Rokk96 called I'll be frank. 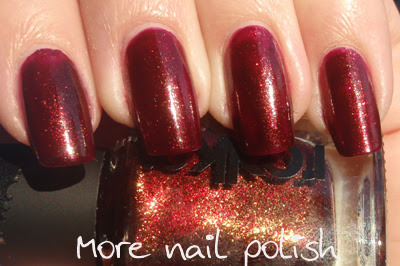 It's a rich burgundy with a strong very fine gold shimmer. Just like the other Rokk96 polish I recently showed, I re swatched this as it looked a little patchy the first time around. Two different swatches, both taken in the sun but at different times of day. I really shows how different lighting can make a polish look very different. This was two coats, but it really should have been three. Nice formula and good staying power. Magnetic Nail Polish - SWEET!